Hospitals have been implementing lean projects in recent years and gaining significant results in diverse operational flows. Such developments are often not integrated with the hospital management system, nor performed according to the dynamics of each professional area, or even not governed by trained and empowered lean healthcare project leaders. This study proposes, by means of an action research approach, to raise the functions and competencies that a Lean Healthcare project manager needs to develop projects using DMAIC as general guide. 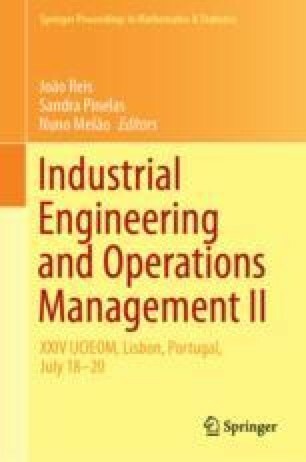 From the case of a large hospital in southeastern Brazil, the researchers listed general project management functions, technical and behavioral competencies, and present a general method for conducting lean projects in a hospital environment. As a conclusion of the study is perceived that the required competencies are related to the literature studied in project management and lean thinking, namely, Communication, Teamwork, Focus on Results, and a Systemic Vision. These were evaluated as the basic competencies for a Lean Healthcare Project Leader. This work was partially supported by projects COMPETE-POCI-01-0145-FEDER-007043 and FCT-UID-CEC-00319-2013, from Portugal.